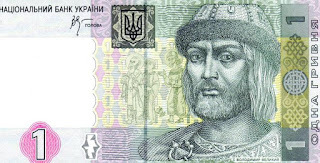 Ukraine may need Gazprom's assistance in worst-scenario case, Andriy Kobolyev said Monday. 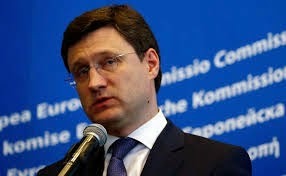 Vice-President of the European Commission in charge of Energy Union Maros Sefcovic has assured Russian Energy Minister Alexander Novak that Ukraine has funds for the purchase of gas and Ukraine will receive additional funds in the near future, the Russian Minister told reporters. Ukraine’s national energy company Naftogaz is claiming $22 billion from Gazprom in the Stockholm arbitration tribunal in compensation for overpaid natural gas and a shortfall in revenues for gas transit, according to Naftogaz’s consolidated financial statements published on Friday. 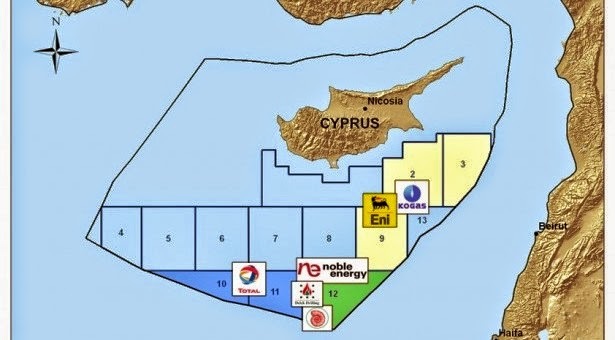 The ENI-Kogas license renewal re: marine plots 2, 3 and 9 of the Cypriot EEZ, comes not only to confirm our expectations, but simultaneously to enhance our conviction about the huge interest towards the region in regards to the hydrocarbon sector. 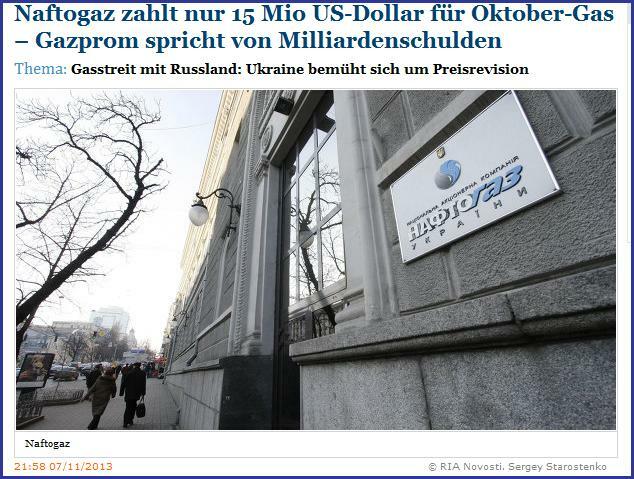 The discount of $100 on the purchase of one thousand cubic meters of Russian natural gas that Russia provided to Ukraine as part of the "winter package" will be lifted from April 1, 2015, the head of Gazprom, Alexei Miller said at a meeting with Russian Prime Minister Dmitry Medvedev. 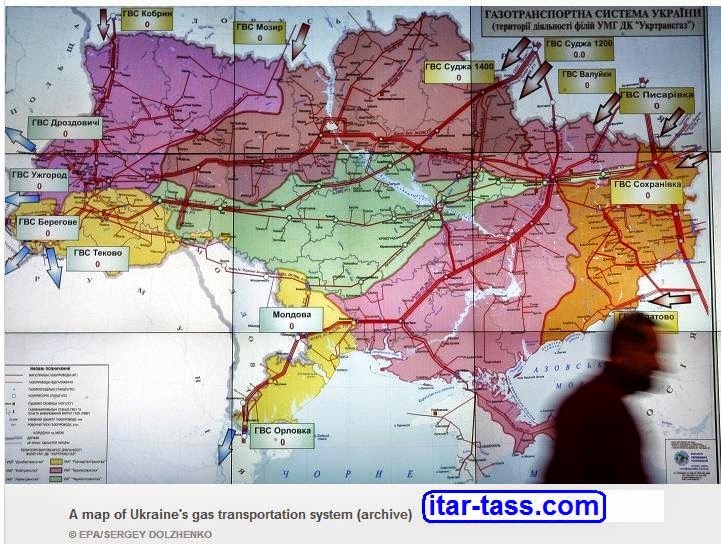 Russia is supplying gas to Ukraine and the EU according to plan, Ukraine's Naftogaz said on Monday. Russia sees no reason to reach a new agreement on gas deliveries to Ukraine after the so-called 'winter package' deal expires at the end of March, as all the terms are already outlined in the existing contract between Gazprom and Naftogaz, Energy Minister Alexander Novak said Wednesday. BELGRADE, October 16. /TASS/. Russian President Vladimir Putin said Thursday that Russia will provide enough gas to Europe in winter. “We would very much like to prevent any crises in the fall-winter period,” Putin admitted at a press conference after talks with the Serbian leadership. BRUSSELS, October 2 – The exact date for the next round of gas talks between Russia, Ukraine and the European Union has not been set yet, Ukrainian Energy Minister Yuriy Prodan told journalists Thursday. "[The date] is undefined," Prodan, who held a bilateral meeting with EU Energy Commissioner Gunther Oettinger earlier on Thursday, said. On Wednesday, Prodan said that the trilateral gas talks in the European Union-Russia-Ukraine format were likely to be held on Friday. The trilateral Russia-EU-Ukraine talks have been postponed till next week, a European Commission representative told TASS on Wednesday. Russian Energy Ministry spokesperson also told TASS that the talks have been postponed. After the tripartite talks in Berlin on September 26 Russia, the EU and Ukraine prepared a new package on the gas problem. The agreement should be coordinated by the governments of the countries. The Ukrainian Energy Ministry said Tuesday it had three reasons to object the “Winter Plan” on gas, endorsed by Russia and the European Commission during the ministerial gas meeting in Berlin last Friday. The plan envisages that Kiev repays of $3.1 billion of its gas debt to Russia and pays in advance to Gazprom for the delivery of five billion cubic meters of gas at the price of $385 per 1,000 cubic meters, with a discount of $100. The plan, intended to reduce risks for transit of Europe-bound Russian gas via Ukraine, is to be in place until late March. Russia is ready to implement the “winter plan” of delivering natural gas to Ukraine and is waiting for Kiev’s reaction, Russian Energy Minister Alexander Novak said Tuesday. “It all depends on Ukraine. I believe that from our side we are practically ready to do everything that we agreed on in regard to this packet. We’ll wait for a reaction from Ukraine in the next few days when everything becomes clear,” Novak told journalists. 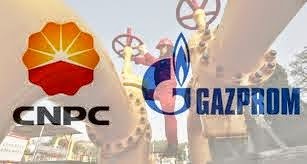 The “winter gas packet” is due to be sent to the Russian government for approval soon. Prime Minister Viktor Orban said Sept. 26 that Hungary could not risk a halt to Russian gas supplies as it froze deliveries to Ukraine amid threats by Moscow. "Hungary cannot get into a situation in which, due to the Russian-Ukrainian conflict, it cannot access its required supply of energy," Orban said on state radio. Hungary's gas pipeline network operator FGSZ said late Sept. 25 it had indefinitely suspended gas supply to neighbouring Ukraine for technical reasons, a move branded "unexpected and unexplained" by Ukraine state-owned gas firm Naftogaz. Russia’s gas contracts with partners in the European Union provide for no re-export options, Russian Energy Minister Alexander Novak said in an interview with the German newspaper Handelsblatt, obviously meaning gas supplies from the European Union to Ukraine in the reverse regime. “The contracts we have provide for no re-export. We hope our European partners will observe the contracts. Only this can guarantee uninterrupted gas supplies to European consumers,” the newspaper quotes him as saying. MOSCOW, September 17 (RIA Novosti) - Gazprom maintains stable daily deliveries of natural gas to European customers in line with contractual obligations, the company's CEO Alexei Miller said Wednesday. During a meeting with Russian President Vladimir Putin, Miller said that claims of some of the Western customers of periodical reductions in supplies could be referred only to additional volumes. MOSCOW, August 12 (RIA Novosti) - The European Commission believes that Naftogaz' idea for European companies to purchase Russian gas on the border between Russia and Ukraine would require a review of contracts and is ready to discuss the suggestion with the two countries in the fall, European Energy Commissioner Guenther Oettinger said in a statement. 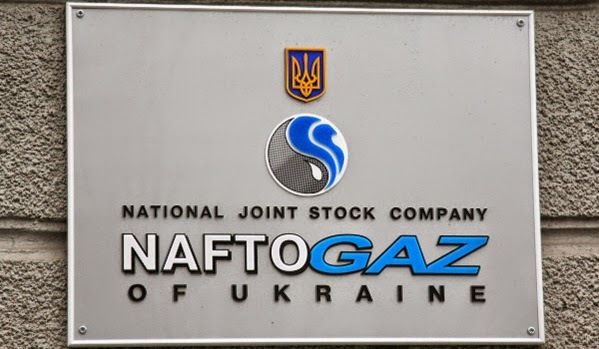 "Naftogaz' idea that European gas companies could buy Russian gas at the Russian-Ukrainian border instead of getting it delivered through Ukraine requires a renegotiation of the transit contracts. As this cannot be done in the short term, it is a question that would need to be discussed in a trilateral meeting between the European Commission, the Russian Federation and Ukraine. We are working for such a meeting taking place in early autumn. 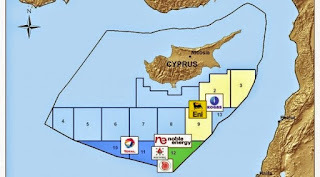 At the moment, gas transit to the EU is unaffected," Oettinger's statement said. Russian energy giant Gazprom will deliver gas to Europe via alternative routes if Ukraine starts tapping Europe-bound gas, the company’s CEO Alexei Miller said Monday. 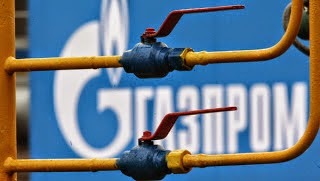 He said that Gazprom would keep daily records of volumes of Russian gas leaving the Ukrainian gas transit network. 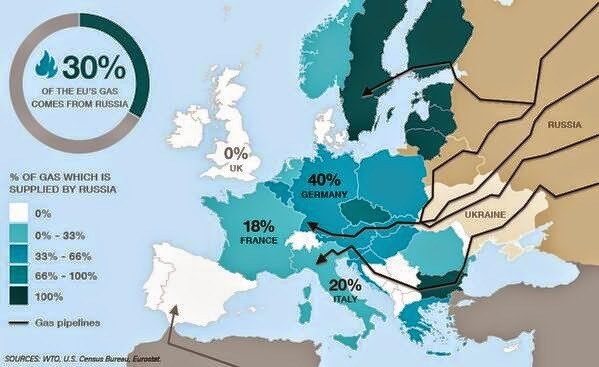 "If we notice that [some] gas is on the territory of Ukraine… in this case, we would boost deliveries via the Nord Stream, the Yamal-Europe pipeline and will increase the volumes of gas stored in underground storage facilities in Europe," he said. 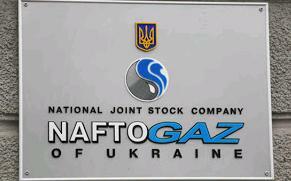 Ukrainian state-run energy firm Naftogaz on Monday said it had filed a lawsuit at the Stockholm arbitration court to contest the pricing of natural gas it imports from Russian giant Gazprom. 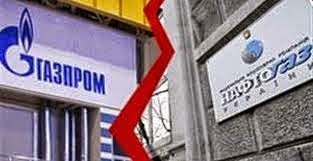 "The lawsuit also contains a requirement to recover an amount of money from Gazprom, which Ukraine has overpaid since 2010," Naftogaz said in a statement. The Ukrainian company estimates it has "overpaid" around 6 billion U.S. dollars to Russia due to the "unfair" gas contract. Russian gas monopoly Gazprom will get $25 billion in prepayment from the Chinese National Petroleum Corporation (CNPC) to be allocated for the Sila Sibiri (Power of Siberia) pipeline under the gas supply deal, a source close to Gazprom told ITAR-TASS. 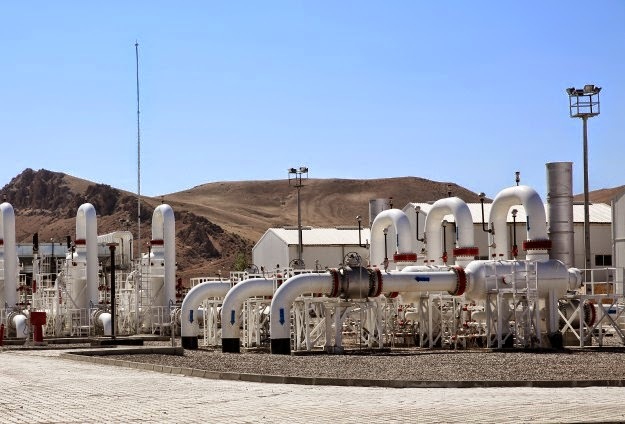 The amount is similar to the earlier announced cost of the pipeline with an annual capacity of up to 38 billion cubic metres.